Whether you’re searching for a tile that can stand up to all seasons, or something that is going to provide you with the most when the time comes, you can make sure to get it whether you’re in search of outdoor tile or indoor tile. Make sure to know the differences when the time comes, so you can choose the best one for the situation and make the most of it, at the same time. Consider the similarities, but also the differences so you can choose which would be best for the home that you need to cover. Outdoor tile stands up to the competition and makes sure that you get everything you could possibly want and more. This is because, this tile can stand up to all outdoor elements, while also being able to stand strong against any wind, rain, hail or any other things that you might need to consider when the time comes. With outdoor tiles, you can make sure to have your floors covered, but you can also protect the inside of your home because you’re putting great flooring on the outside, as well. Indoor tiles provide that look and feel you would come to expect from the inside of a home. You shouldn’t have to worry about them standing up to the outside elements because they are not outside of the home, they are on the inside. With outdoor tile, you can make sure that everything is covered, but they are also something that you have to consider if you want something presentable, easy to clean but also looks nice on the inside of your home and not just tiles that can go on the outside of the home. You can bring the style inside with the right durable tile for the job. When it comes to choosing the right tiles for the bathroom or kitchen that you have, then you need to make sure that you choose one that you love, and that works with the room you’re putting it in. Considering both porcelain tile and glass tile is the way to go when it comes to knowing which one is going to be the best one for the rooms that you have. Whether you choose one or the other, you know what they look like and you know how they are going to perform. Through the use of the right glass tile, you can then make sure to get much more from the tiles that you put throughout your home. Glass is one of the best ways to get an affordable, yet dependable tile material that is going to help you with everything that needs to be done. Whether you want something a specific color or something that you’re going to have to consider for whatever reason, then you have to make sure that you look into the available options for glass tile before you make your final decision. Porcelain is beautiful and it can come in many different colors so you can choose something that goes well with your home. When laying down porcelain tile on the floor of the room, you can think of so many things and ways that you want them to stand out. Through the use of these tiles, you can still make sure to get the most of what is being offered, and get the most used out of the porcelain tile in the end, as well. Isn’t this what you want from the room that you’re looking to put together and make stand out against the rest when it comes down to it? Both slate and ceramic tiling options are very popular and trendy right now. This is for good reasoning too. They offer beautiful design options and greatly enhance the aesthetic appeal in any home or bathroom design, or commercial property. Tile is also a great option for homes because it is easy to clean and sanitize. There are a few differences between the two that will be discussed in further detail, affording you the opportunity to make a more informed decision before making a final purchase. For those individuals who are more environmentally friendly and seeking sustainable solutions for their home, slate tile is a great option. Not only is it a natural stone covering, it can be used both indoor and outdoor environments. Many people have also chosen to utilize slate tile for walkways in their front yards. Slate tile does offer a more organic look and rustic feel because of its natural qualities. While being grey, it almost appears to give an unfinished look that is difficult to duplicate. For homeowners and contractors alike, it is known that tiling option do vary but it is important to find the proper tiling options for whichever area it is going to be installed. With slate tile, there is no worry because it is in its natural form already. There is no need to seal the tile itself. Ceramic is a synthetic material that is created to give the look of slate, and offer many different color options to consumers. The great thing about ceramic tile is that it always exudes a more polished look, rather than the unfinished look. 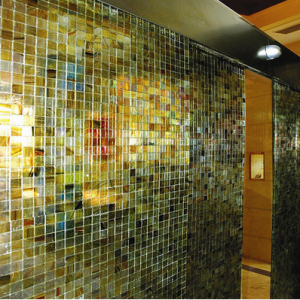 Overall, ceramic tiles are smoother to the touch and come in a wide variety of shapes, colors, and sizes. Between these two options, people cannot go wrong. They are budget friendly and last quite some time. When renovated, a pleasant and sturdy kitchen can increase the overall value of your property. Replacing kitchen fixtures such as countertops, stoves, cabinets, and lighting has a dramatic effect on the increase of your home’s value. Other fixtures that help bring out the true value of your home would be fixtures and items such as shelves, tiles, vanities, chairs and kitchen tables. Be sure to choose fixtures that accompany not only your home, but also your lifestyle. During the start of your kitchen renovation process, you will notice kitchen fixtures have evolved to serve as efficient additions that enhance the beauty of your eating area. When it comes to the type of Faucets and kitchen sinks, your kitchen fixtures types can range from materials such as black granite, stainless steel, double-bowl vessel sinks, and granite composite sinks. These pieces are sold separately, to help you choose what designing needs you have. There are several different options of cabinet knobs, to complement the countertops installed in your kitchen. 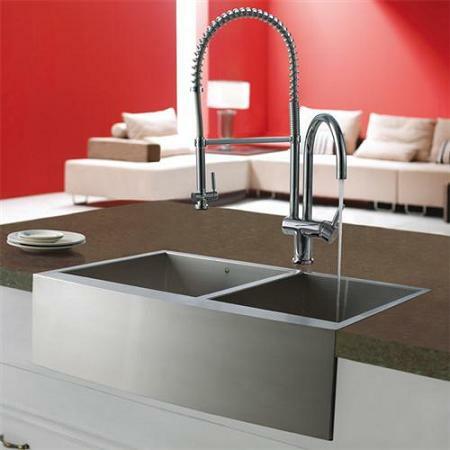 One of these options is the California Faucet Brass Cabinet knob, which range in different models. 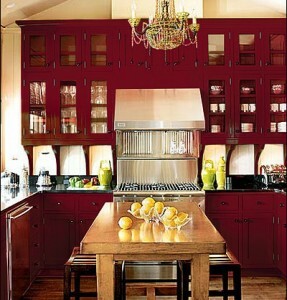 When looking at cabinets, be sure the finish blends with other fixtures in your kitchen. Another option to add in with your kitchen fixtures, are kitchen sink accessories such as basin racks, soap lotion dispensers, kitchen drains and colanders. These are great for décor and add that touch of convenience you’ll need to make your way around the kitchen. This and many other accessories are available for purchase, complimenting any kitchen fixture chosen. With all these choices, completion of your kitchen renovation will surely increase your home value considerably. Now is the time to start looking for the perfect kitchen fixtures, choosing not only what is perfect for your home but what stands out for you and your family. In today’s world, the options to buy have become so vast that it’s now even harder to make choices for bathroom designs. One has to think about the color ideas. Is this a makeover or a new construction? 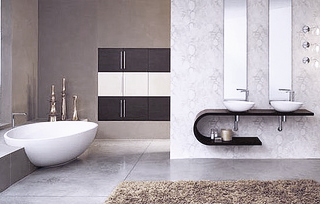 The storage and the usage of the bathroom entirely effects bathroom designs. A major decision process falls into the layout of the bathroom for most people. Three elements of bathroom design make a trendy bathroom, functionality, modernization/customization, and overall style of design. 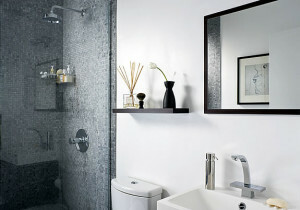 There are always new trends to be set or to have when it comes to bathroom designs. The design of the lighting fixtures, bathroom sinks and shower heads, even down to the brand of products that you chose – can set or become part of the trendy fad. The most important thing to remember when it comes to bathroom design trends, is the personalization that you want to achieve; not the trend. Mind yourself that you are paying for this, so you should have the bathroom design their way. There are many different options when it comes to trendy ideas. 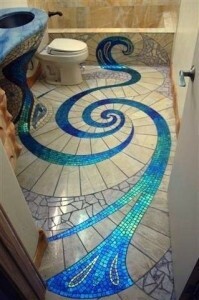 Many people choose to go with themed bathrooms like an ocean scenery or checkered floor pattern. There are also several unique storage spacing solutions that have become trendy, ultimately the design of the bathroom chosen can say a lot about a person. Another thing to consider is the shape and sizes of windows available. When going through the bathroom design process, do not forget to consider what bathroom flooring option was chosen. This should definitely allow those creative juices to begin flowing and bathroom design can range from very complicated to the most simplistic designs. With all the information provided, you should be able to make the right decision for them when it comes to bathroom designs. Having a trendy kitchen is something that everyone wants to go through with. You want to make sure that the kitchen design is something that stands out, but is also something that is functional and able to help you get the needs that you have done. With the right kitchen sink and counter tops, you can have just about anything you could possibly want within your kitchen area. You can make sure to get much more from the kitchen design when you think about what it is that you’d like from it, while you’re also considering the size and style at the same time. With many ways that your kitchen design can become your own, you’re able to take the next step and make it happen. Consider the kitchen design that you want to have. Know the colors, the materials and the lay out so that you can fully understand what has to be done in order to make your kitchen design a real life thing that you can use. When you work with someone that can do this, you can feel good about the change that you made. This is not something that you wouldn’t be able to get from just anyone. Consider purchasing the highest in quality kitchen materials from the right place. From here, you can then get the kitchen design that you want, and set up the kitchen anyway that you’d like. Consider the amount of cupboards, counters, and table space you’d like. 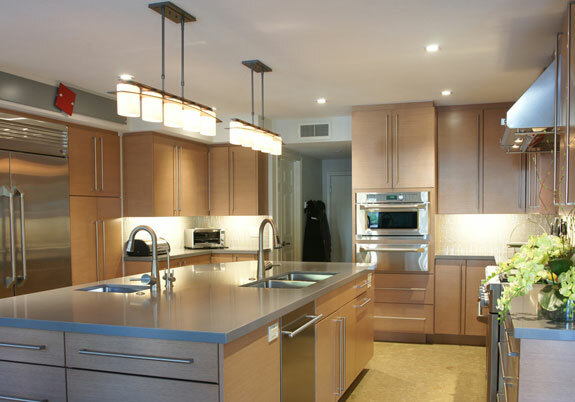 You also want to consider what you would do with the extra space that might be in the room for your kitchen design. You want to then take the next step and make the most of what they are providing you with. Make the change, do the work, and feel good about your kitchen design ideas. You will find many differences within the tiles that you choose to use throughout your home. Whether you’re using ceramic tile or porcelain tile, you can make sure that you’re getting the one that is going to do the best job in your home, and look the best that it can look in the end. This is what you’re going to want when it comes to making your home functional, but also beautiful at the same time. The right tile can help with this, so make sure to learn a bit more about it. When thinking about adding porcelain tile to your bathroom or kitchen design, you have to consider if this is the right way to go. This is because it is a durable choice; however, you do have to keep in mind that it can and it might break if something heavy falls on it. It is also ideal for some people to use for their backsplash since it is up on the walls, and not on the floors. It is recommended that porcelain tile stay up since it can crack easily. This is generally not a widely requested material but it is still available for those that like it. With ceramic tile, you can obtain a bit stronger material when it is placed on the floors of your bathroom or kitchen, but it too can easily crack with a lot of weight or pressure that falls on it. You want to make sure that you choose something that can easily be wiped up, and ceramic tile can be but you also want to ensure that you work with something that is going to stand strong against the everyday activities that might happen throughout your home. This is why ceramic tile is one of the most used tiles to place throughout your home when you want something beautiful and long lasting. With the right kitchen cabinets, you can make sure that your kitchen looks the best that it can when you put the cupboards up on the walls. You can hang the right kitchen accessories, you can place everything that you want inside them, and then you can feel good about having them hold all of the items that you want and need for whatever it is that you are going to be cooking and making. You should make sure to stand tall, to know what you want, and then have the right kitchen cabinets that can go all the way around the entire kitchen without having to worry about a thing. Place them in the corners, along the sides of the walls, above and below; wherever you need them, they can go. When the time comes to get much more from the kitchen cabinets that you are going to be placing in your home, make sure you are using the right ones for the job. Make sure you are using some that you absolutely love. You want something that is going to speak to you, and to your guests and with the right kitchen cabinets, this can happen. Considering a new kitchen look and feel? 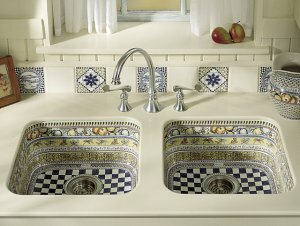 Want to change the colors but do not want to spend thousands of dollars doing so throughout the entire kitchen? You can make sure to do this with the right kitchen backsplash for the job. Choosing the right colors can make your home stand out, it can make the kitchen become the hub of the home, as it should be with the right colors to do the job and do it right. 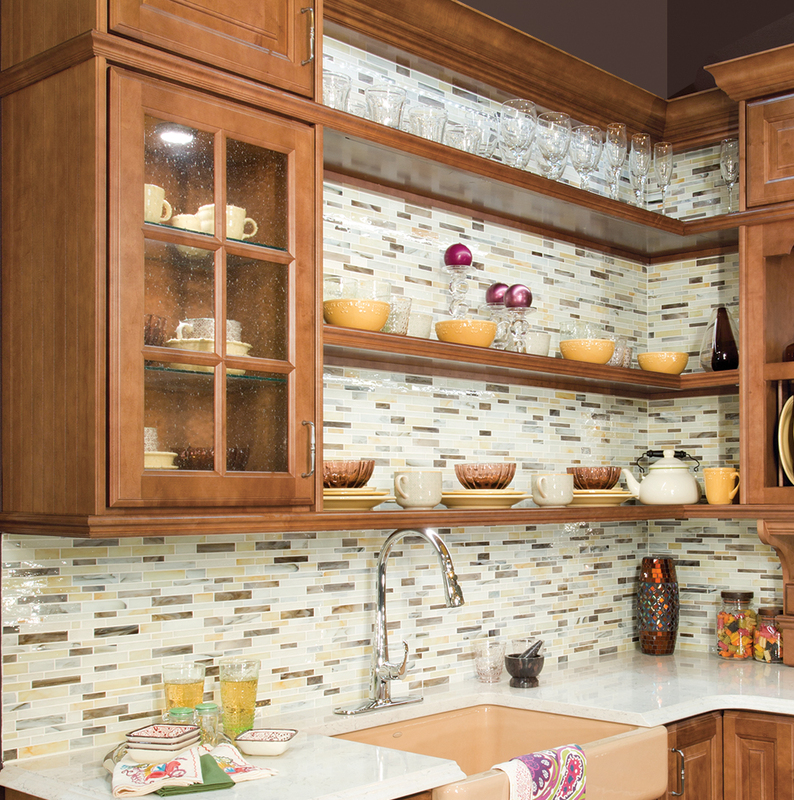 Consider all the options that come with the right kitchen backsplash, and then make the most use of your kitchen then. When it is kitchen time, you need to consider every aspect that is going to go you’re your kitchen design. With colors, the layout and even the kitchen appliances that you are going to be using throughout the kitchen area; you need to know all of this. This is why choosing the right kitchen backsplash, is essential once you know your colors. Before everything is done, putting the kitchen backsplash in is probably the easiest way to go about it. Not only will it complete the look and feel of your kitchen, but it will make you feel better about it, as well. When the right design is chosen for the kitchen, it becomes the favorite room of the home. You can have the right kitchen backsplash for the house, but you also have to have the other items that go along with it so you can then make the most of the room, and all that it comes in. Feel good about the choice that you make, and then go from there when it comes to choosing the kitchen backsplash that works with you, your kitchen, and the rest of your home as a whole. There are two rooms that get the most attention during holidays: the kitchen and the bathroom. You spend countless hours in the kitchen preparing food, drinks, and infinite desserts and treats. Plus, it’s finally time to show off your guest bath when visitors come over for parties and dinners. If your kitchen and bath aren’t quite up to par for this year’s happenings, Brizo has you covered. Brizo kitchen designs are for people who appreciate fashion in all parts of their home, not just their closets. 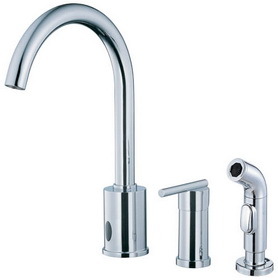 Their faucets combine form and function with beautifully crafted designs to add exquisite style to your home. Kitchen and bathroom faucets by Brizo provide great hardware design that can be used in a classic or modern kitchen and bath. From the classic look of the Traditional collection to the modern look of the Venuto collection, they offer styles and finishes to match any décor. In 2007, Brizo partnered with the noted fashion designer Jason Wu. Wu is known for his timeless luxury and craftsmanship. The partnership began with Brizo sponsoring Wu’s fashion shows and has now grown and evolved to include Brizo bringing guests to New York Fashion Week, using the designer’s gowns in advertising campaigns, and collaborating with him on a co-branded lavatory suite. The Jason Wu collection features the aesthetic sense of a renowned fashion designer coupled with the design and innovation that could only come from Brizo. Brizo produces luxury kitchen, bath and shower fixtures along with premium medium flow and Sensori high flow shower systems. From efficient wall mount pot fillers to sculptural soap dispensers, Brizo kitchen faucets and accessories combine leading edge design with exceptional functionality.